Has anyone ever actually won a set from those surveys on the back of the instructions? 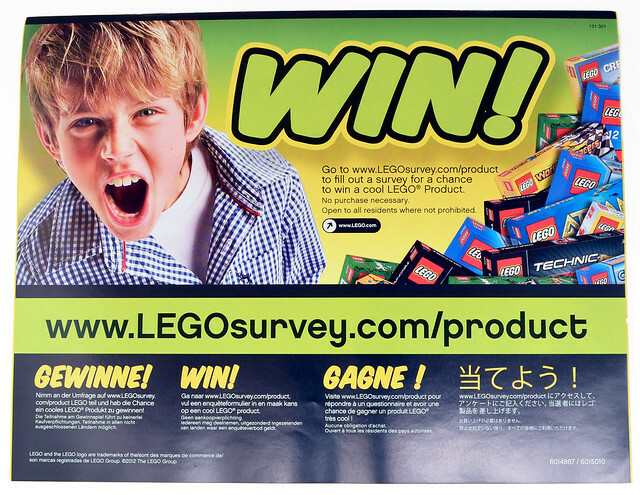 The surveys found on the back of the instruction booklets, the ones that usually say "Win!" followed by "Gewinne!" and "Gagne!". :) They claim that you will be entered into a raffle to potentially win sets. I've taken them a few times, but I have never won anything and I wanted to know if anyone ever has. Nah, it just peaks my interest every few years when they change the picture. I have a freind that won something, but I don't remember what it was. I like to do the surveys but I don't hold out much hope; mostly I just take it as a chance to tell TLG what I think. I filled in one of those surveys once, quite some time ago. A couple of weeks later I got a minifigure keyring in the post, which I hadn't ordered, and wasn't a gift from anyone, just in a padded envelope with no indication where it came from or anything like that. I can only assume that was a reward for filling in the survey. I got a key ring too I think. It was an Atlantis guardian, but I lost it somewhere. I was doing them on every set I purchased, but then when I never won anything, I gave up hope. Another reason why I don't play the lottery. Free stuff is great, but I get frustrated with not winning too easily. I'd rather just not win and not put in the effort so I know I won't win. Who is that boy on the back? And why is he shouting? ^ He's a Lego maniac. My Missus hates that child's eternally screaming face. I think he's related to the monster in the music video 'come to daddy' by Aphex Twin. Anyhoo, check out the avatar ;D .
Never filled one but might start, time to release the manuals. Back on topic, I've never won a set from those surveys. 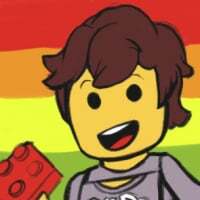 I'm pretty sure if I took every Lego set I ever bought and did the survey for each and every one, I'd still have the same amount of Lego sets I started with. I don't sweat it, though. Anyone ever run a caption contest for the different pics shown throughout the years? It could be a fun popularity contest for likes. Perhaps on one of the flashback Thursdays.